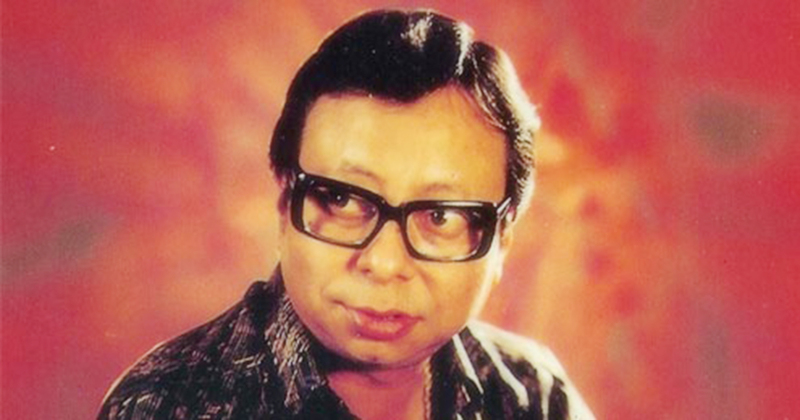 One of the most prolific music directors of Bollywood, Rahul Dev Burman was born on June 27, 1939. Today, on his 74th birth anniversary, we present five lesser known facts about the celebrated composer. - RD Burman was nicknamed as Puncham and was popularly addressed by most of his industry friends by the same name. Apparently, the nickname was given to him by actor Ashok Kumar when he heard the newborn Rahul saying the word Pa repeatedly. Another story says that RD Burman could cry in five different notes and hence was called Puncham (meaning five in Bengali). - RD Burman composed his first song at the age of nine for the film Fantoosh (1956). - Apparently, some of the tunes credited to his father, the popular music director SD Burman, was actually composed by RD Burman. Some of such superhit songs include 'Sar Jo Tera Chakraye' (Pyaasa), 'Mere Sapno Ki Rani Kab Aayegi Tu' (Aradhana) and 'Kora Kagaz Tha Yeh Mann Mera' (Aradhana). - Popular music director duo Laxmikant-Pyarelal played in the orchestra of RD Burman. RD Burman also gave break to several singers like Kumar Sanu, Abhijeet, and Mohammad Aziz. - RD Burman was nominated 18 times at the Filmfare Awards in the Best Music Director category. Of these, he won thrice for Sanam Teri Kasam (1983), Masoom (1984) and 1942 A Love Story (1995). Incidentally, he won his last award posthumously.